A web presence is more than just a nice looking website with graphics or pictures. It is a place to connect to your potential customer and draw them in. An effective website presence provides a way to build trust. It explains how you can meet potential customer’s needs and why they should choose your Company to do business with. Therefore, it is essential that your website reflects who you and your Business are, including your qualities and your personality as a Business. 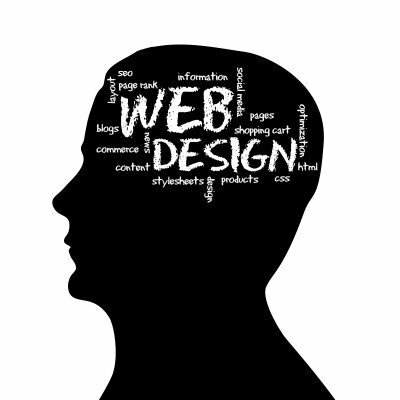 Your website may be the only representation of who you are to a potential customer. Having a quality website is essential to a successful any online endeavor. Having a quality professional website is essential in getting that first call from a potential customer. Our goal is to aid you in developing a more successful website presence. We will equip you to better reach your target market. And ultimately, you will be more successful in making your Business stand out in your industry. Set Your Website Goals: These should be directly in line with the main goals of your Business. Make sure they’re measurable. Establishing your website goals drives the rest of your decisions on content, features, design, and more. Target Your Audience: This helps you center on your potential customer’s needs. Determine their demographics and what would appeal most to them. Focus Your Content: Websites need substance. Your content should meet your potential customer’s needs and to help them make informed decisions. Express Your Brand: Your website presence is a reflection of who you are. Show that you pursue excellence in all you do. Explain your relevance and keep your Company’s brand consistent through all of your printed materials. Streamline Your Websites Design:.Increase your traffic. You want potential customers to find you. Consider search engines, links from other sites, printed use of your web address, using your own branded email, and other strategies to drive traffic to your site. Clear, consistent navigation makes it easy for your visitors to find exactly what they need. A picture is worth a thousand words. Use graphics strategically to better convey your message. Visitors will rarely be patient enough to read long, drawn out pages. Providing headings and quick, concise content allows readers to obtain the basic information and determine whether they want to read further. Your website should be available to as broad an audience as possible. Consider those with vision impairments and those who use wireless devices, such as cell phones and PDA’s. You don’t want to miss out on large numbers of people because your website isn’t appropriately equipped. Call to Action (CTA). Ask for their business and encourage them to contact you. Make it easy. Provide multiple ways to contact you. The internet world isn’t static. Update your website with substantial improvements every six to twelve months. We would love to assist you in taking these essential steps.